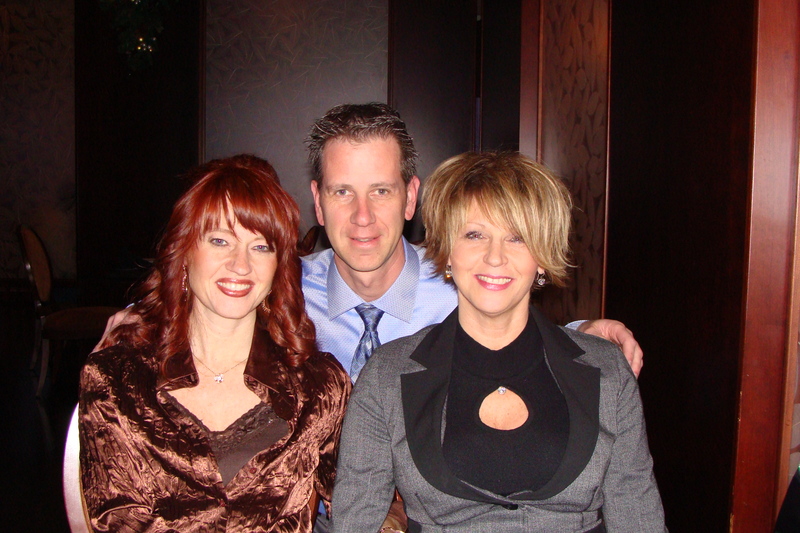 Jeff and I had the pleasure of ringing in 2011 with my sister Sue. Our fun evening consisted of a delicious dinner at Crave Restaurant (see the picture below), watching movies, and then the tradition of watching the ball drop in Times Square. The excitement of it touching down as the confetti rained through the air, is the same every time. We cling to a fresh start for the New Year. Out with the old…in with the new. This year has been an interesting one for our families. The only way to describe it is like a roller coaster. Some highs, some lows. A wedding engagement, loss of jobs, a precious new baby girl, sickness, and relationship challenges. Needless to say, our family has been through the wringer. Yours too? I’m sure. Are we glad to say good-bye to 2010? I think so. However, through all of these ups and downs, one thing has remained constant. God’s mercy and faithfulness. Even though there were times when we couldn’t see His hand, we knew He was there squeezing ours tightly. Holding us up. Jumping for joy with us in the good times, and letting us cry on His shoulder in the bad. He reminded us time and time again that He is in control, not us. We just needed to trust. As we start afresh in 2011, let our resolution to be one of godliness. Let us endeavour to be more Christ-like. Let us also strive to have a trusting heart…in all things. Welcome 2011! We’re glad you’re here. What a profound resolution, Dar! I’ve never thought of it quite that way. Thank you so much for the challenge…and a resolution definitely worth keeping. You are a terrific author. Indeed, Good-Bye to 2010! This has, without a doubt, been the most single difficult year of my young life! I pray for a fresh outlook, peace of mind, and health that only He can offer. All the best to the Turners in 2011! Here’s to praying for a new and great year!